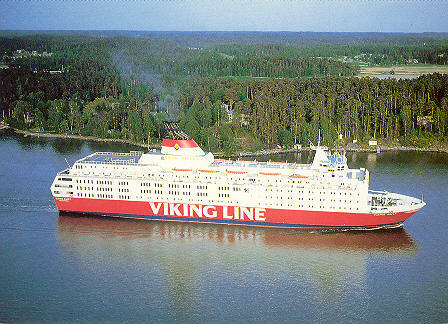 This page is devoted to postcards and photographs of the Viking Lines ferry Viking Sally. She was built for Rederi AB Sally, part of the Viking Line consortium, in 1980 by Meyer of Papenburg. Sally were the dominant partner in the Viking Line consortium at this time, with three large ferries delivered in the same year. However, the company was soon in financial difficulties, having branched out into other unprofitable areas, and was taken over by Silja Line partners Effjohn in 1987. 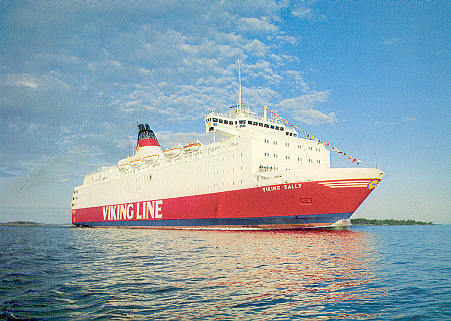 Sally was forced out of the Viking Line consortium, although Viking Sally remained in Viking Line service on charter until 1990. 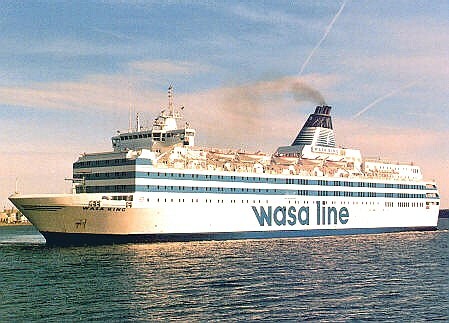 She then became the Silja Star, operating from Turku, until transferred to Wasa Line (ex-Vaasanlaivat) as Wasa King. 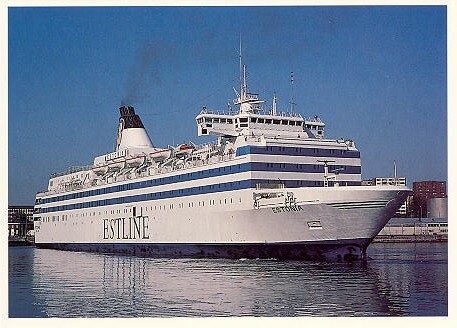 She was sold to Estline as the Estonia in 1992. Estonia was lost in heavy seas in the early hours of 28th September 1994, whilst on passage from Tallinn to Stockholm. Viking Sally was built for Rederi AB Sally, part of the Viking Line consortium, in 1980 by Meyer of Papenburg. Sally were the dominant partner in the Viking Line consortium at this time, with three large ferries delivered in the same year. However, the company was soon in financial difficulties, having branched out into other unprofitable areas, and was taken over by Silja Line partners EFFOA in 1987. 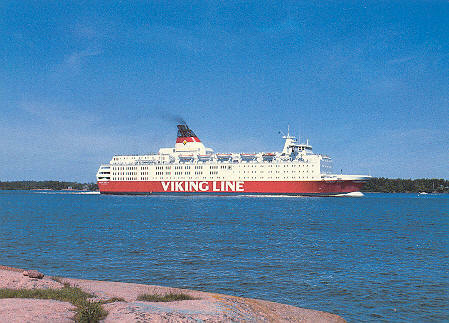 Sally was forced out of the Viking Line consortium, although Viking Sally remained in Viking Line service on charter until 1990. 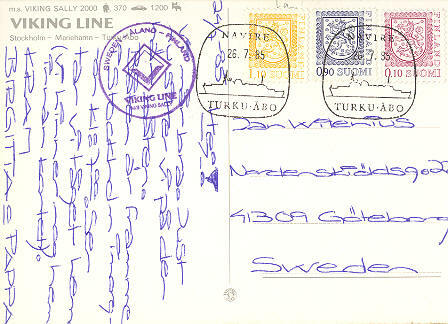 This is an official Viking Line postcard, also showing ship's postmarks. Rederi AB Sally was taken over by Silja Line partners Effjohn in 1987. 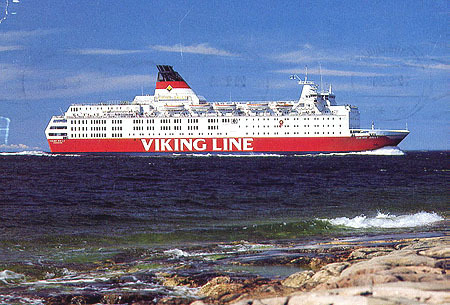 Sally was forced out of the Viking Line consortium, although Viking Sally remained in Viking Line service on charter until 1990. 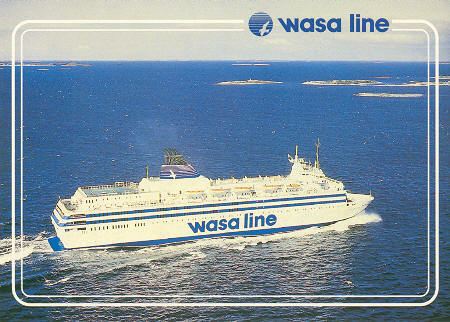 She then became the Silja Star, operating from Turku, until transferred to Wasa Line (ex-Vaasanlaivat) as Wasa King. This is an official (oversized) Silja Line postcard. 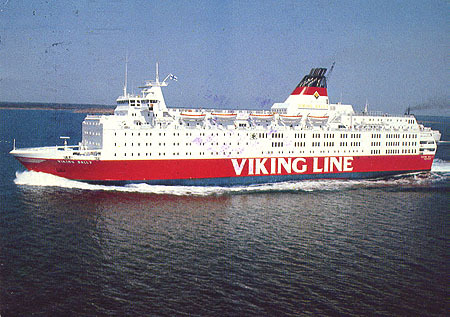 Rederi AB Sally was forced out of the Viking Line consortium in 1987, although Viking Sally remained in Viking Line service on charter until 1990. 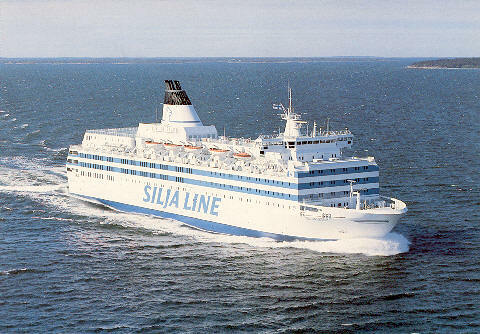 She then became the Silja Star, operating from Turku, until transferred to Wasa Line (ex-Vaasanlaivat) as Wasa King. 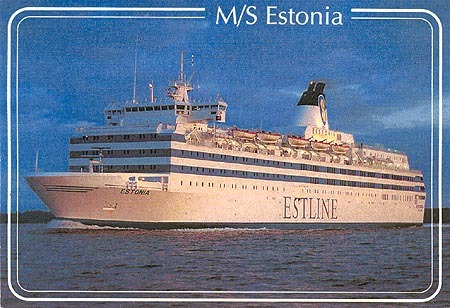 She was sold to Estline as the Estonia in 1992. 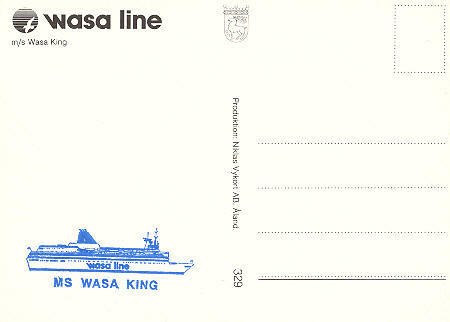 An official Wasa Line postcard of Wasa King (plus card back). Printed by Niklaus Vykort (serial number 329). 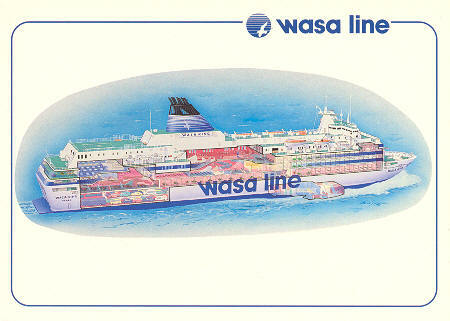 An official Wasa Line postcard of Wasa King. Printed by Niklaus Vykort (serial number 330). Printed by Niklaus Vykort (serial number 342). 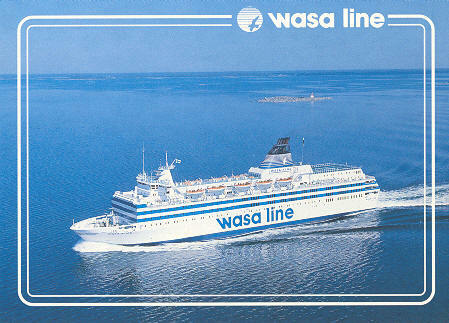 Chantry Classics postcard CC/S244 of Wasa King. 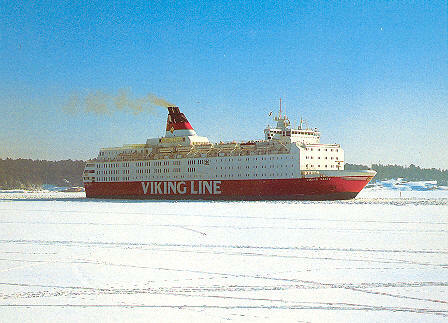 Estonia was delivered in 1980 as the Viking Sally, having been originally ordered by Viking Line partner SF Line. 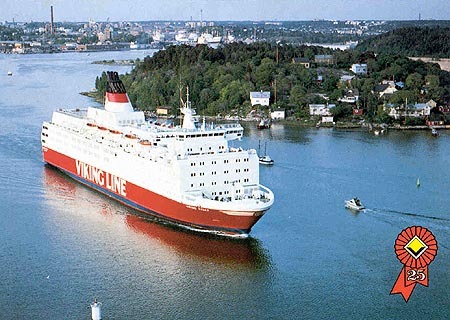 She later served as Silja Star and Wasa King before becoming Estline's Estonia in 1992, allowing Nord Estonia to be chartered to Larvik Line as Thor Heyerdahl. Estonia was lost in heavy seas in the early hours of 28th September 1994, whilst on passage from Tallinn to Stockholm. 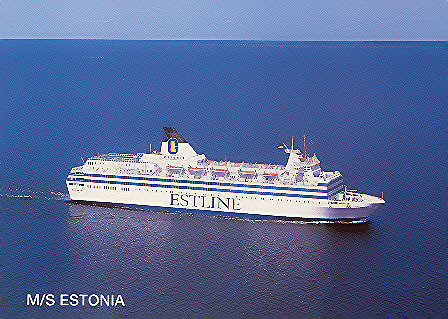 Official Estline postcard of Estonia. CT Publishing postcard No.077 of Estonia at Stockholm, in a photo by Rickard Sahlsten.